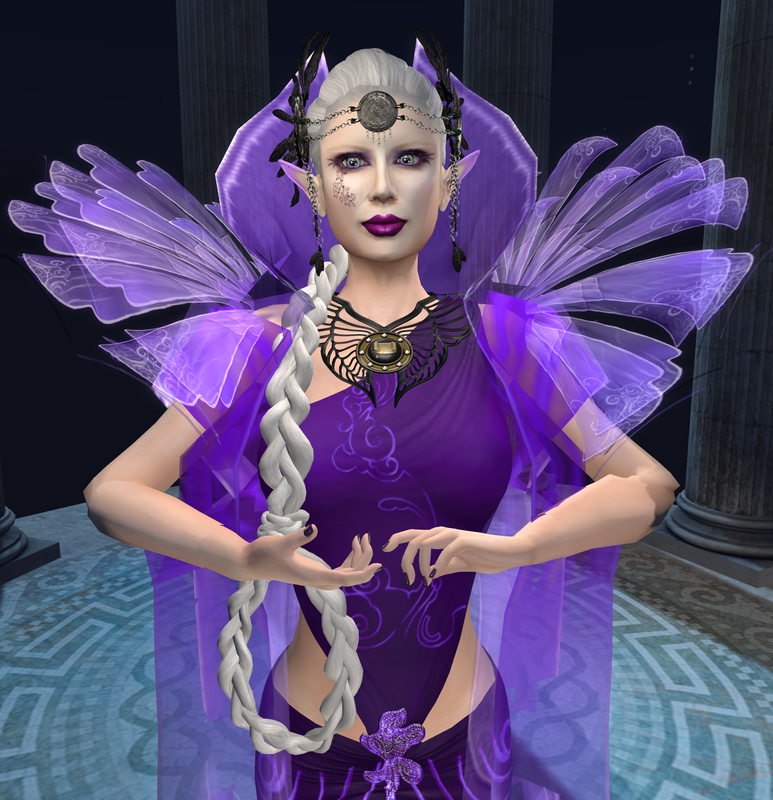 The High Priestess round of Apollo Scribe’s Ambitious Create Your Own (SL!) Tarot event kicks off tomorrow, and in advance of that, I thought I’d yammer on a bit about tarot, and about some of the stuff you might find if you visit the event. The High Priestess is the third card of the Major Arcana in the standard tarot deck, numbered 2 (we start from 0, with The Fool). The HPs is the incarnation of the divine. In most traditional decks, she’s pictured in blue or red robes (so I picked purple! ), wears a horned headdress, and is pictured with the moon at her feet. The pillars on either side of her, lettered B and J, invoke the Temple of Solomon. She often carries a torah scroll or is pictured with a book. There are always beautiful things at the Create Your Own Tarot events, and this round is no exception: I love that ZOZ added the torah scroll to the necklace Gwyneth is wearing here as she plays at being the High Priestess herself. The headdress is from Fuubutsu Dou!, with moon disks and feathers. The gown is from Stargazer, and the shimmery cloak really makes it shine. The CYOT events include a photo contest. The CYOT events include a photo contest, which I made mention of sometime last month (oh, yeah: it was here). Last round’s contest is done and dusted, and you can check out the CYOT Magician Group on Flickr to see the winners. I’m busy coming up with concepts for this month’s contest (nope, nothing like the above photos! ), and I hope that if you enjoy Tarot and Tarot symbolism as much as I do, you’ll find the event inspiring enough to put something together yourself. So far, contest entries have been amazing, and I’ve met some truly wonderful people over the last couple of months through this event. 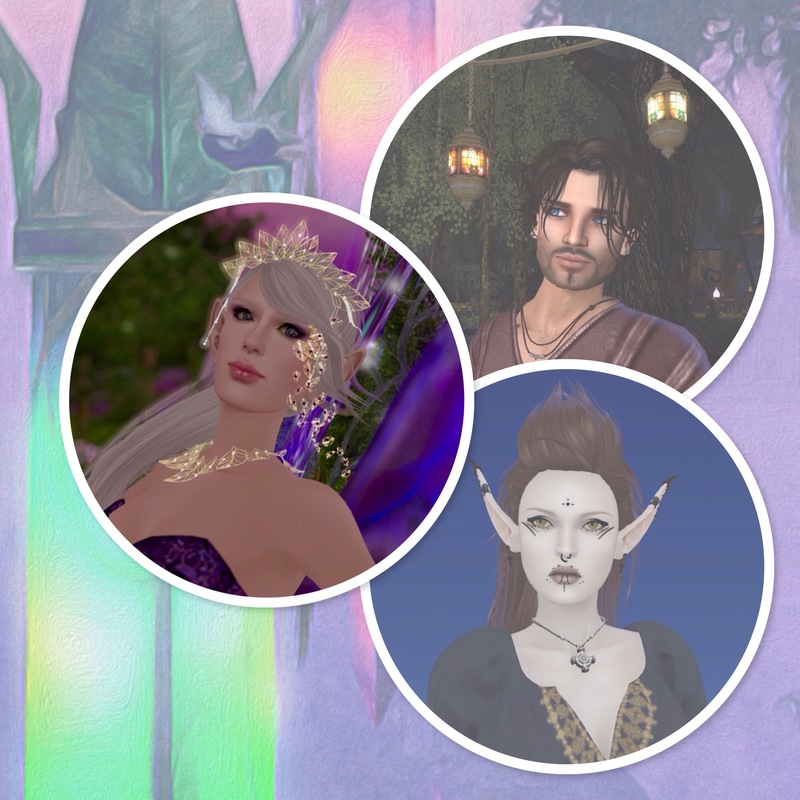 The Create Your Own (SL) Tarot blog has a lot more information, links to pictures, and whatnot. Check it out! Spiffy photos taken with the indispensible aid of my LumiPro. Go look at the web page. Yes, I know they’re expensive. If you want to take amazing photos in SL, they’re worth every Linden. 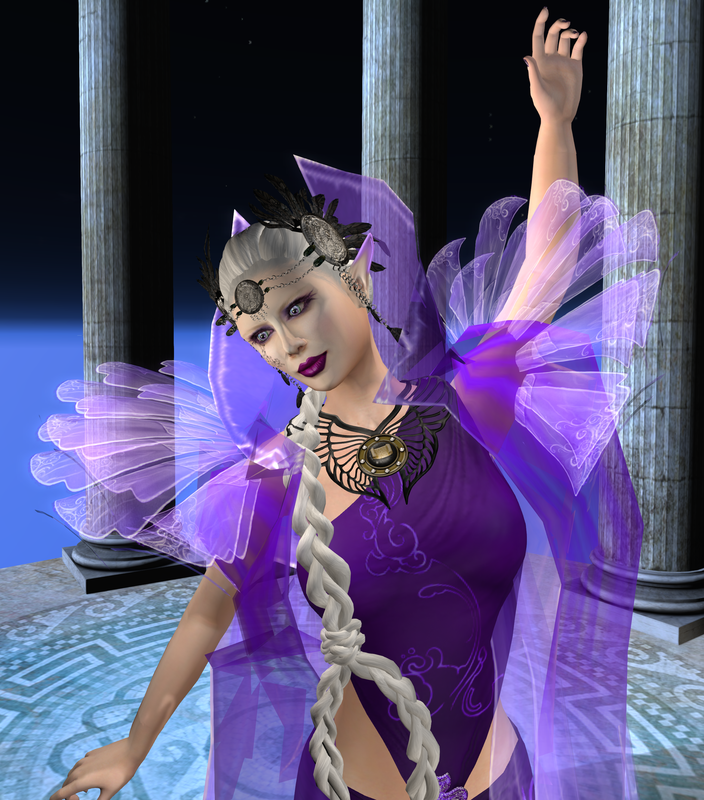 This entry was posted in A second life in pictures, Not A Fantasy Fashion Blog! and tagged Analog Dog, create your own tarot, OK maybe it's a fantasy fashion blog..... Bookmark the permalink.